An emergency situation can happen anywhere — in your favorite supermarket, on the street, and even in your own home. Unfortunately, we can’t predict them, but we can certainly be prepared and learn how to deal with them in order to save our own life and the lives of our loved ones. We at Apegeo hope that you’ll never find yourself in a dangerous situation, but just in case you do, it would be better for you to know these 14 survival tips that will help you stay safe and sound. 14. Use a bra to protect your lungs. 13. Use condoms to waterproof your gadgets. Condoms can help you to keep your phone and other essential things dry even if you have to jump into water with them. They can also be used to store spare drinking water because they can hold up to a gallon of water. 12. Make a fishing rod out of a can. An ordinary drink can can be easily transformed into a fishing rod. Use a knife to pry off the tab on the top and make an improvised fishing hook out of it. Then tie it to a piece of dental floss or thread and wind the rest around the can. 11. Protect your skin from frostbite with baby oil. Baby oil will protect your face from frostbite during cold weather. If it’s freezing outside, slather your face with baby oil — it will create a thin layer of protection against the cold weather and help prevent frostbite. 10. If you don’t have a blanket, use bubble wrap. We can't afford blankets so we have to use bubble wrap. Bubble wrap has many tiny pockets of air that can act as a good protector against the cold. Just cover your body properly and try not to pop all the bubbles while you are inside. 9. 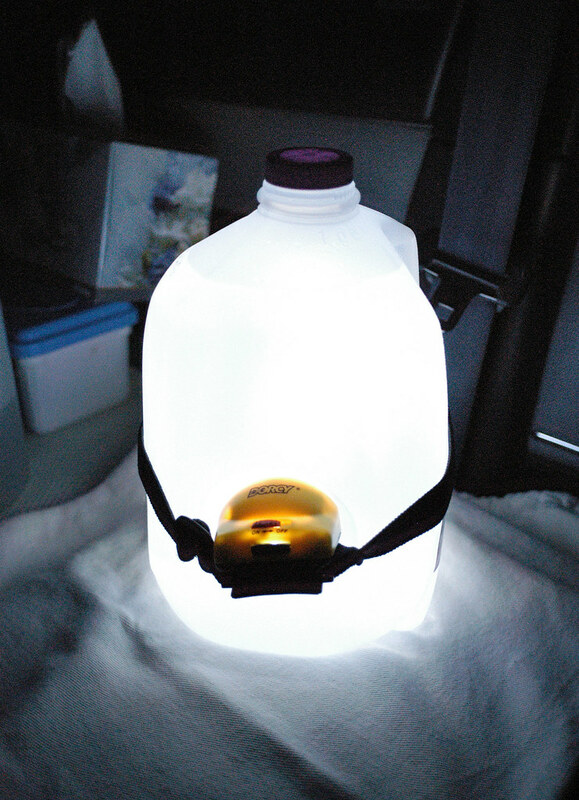 Make a lantern with a headlamp and a water jug. To create your own camping lantern, simply strap a headlamp around a jug filled with water, making sure that the light is pointed inside. 8. Use a crayon as a candle. In case of emergency, you can use crayons as a source of fire and light. For example, Crayola crayons are made out of paraffin wax, so you can easily light one up and it will burn for up to 30 minutes. 7. Fill a punctured tire with leaves. If you don’t have an air pump but you need to fix a flat tire to get home, grab a bunch of grass or leaves and evenly pack the tire with as much as possible. This will help you with riding until you can reach a safe place. 6. Use bleach to make water drinkable. Common household bleach contains chlorine that is a good disinfectant. So if you don’t have heat to boil water, add a drop or 2 of unscented bleach to your bottle and let it sit for a few minutes. 5. Start a fire with a lemon. 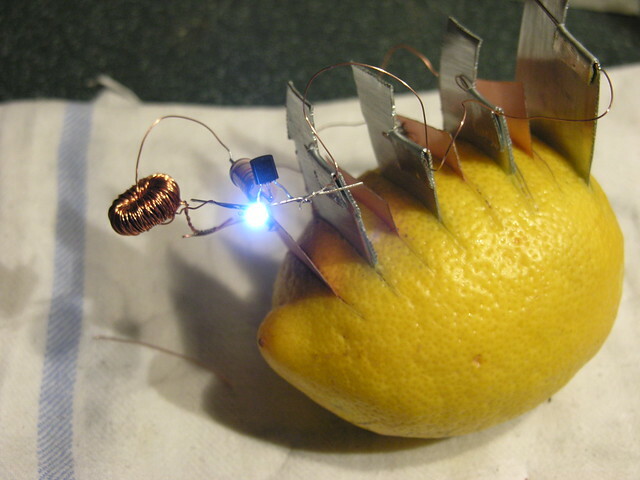 Lemon juice can conduct electricity. Just take zinc nails, copper clips, or even a dime and a penny and insert them into a lemon. Connect the metal parts to one another with a wire and leave the ends of it free. If you touch the exposed wire tips together, you’ll get a spark that can start a small fire.